Not so long ago I came across a picture on pinterest which made my mouth water. The picture was of cheesecake stuffed cupcakes. I kept thinking about how nice these cakes looked and that I needed to make them and eat them all. 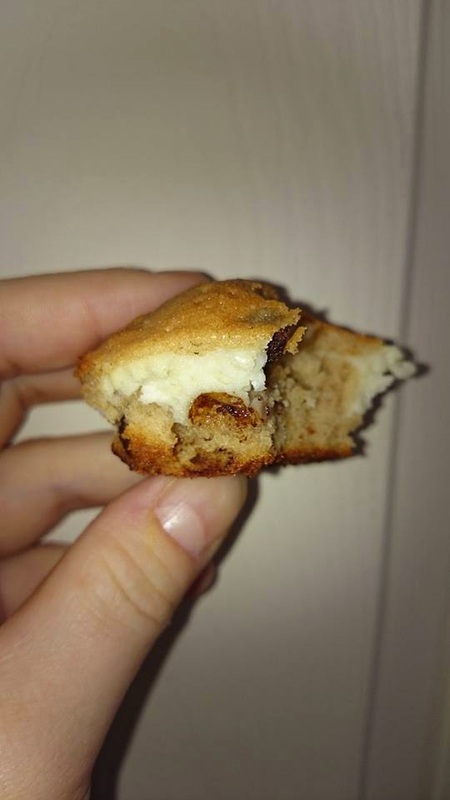 I want to share the recipe I used with you, so you can taste the yummy calories. I made the cake batter first by mixing sugar, butter, eggs, chocolate chips and flour together. I also added a bit of chocolate powder to give them a chocolate taste. 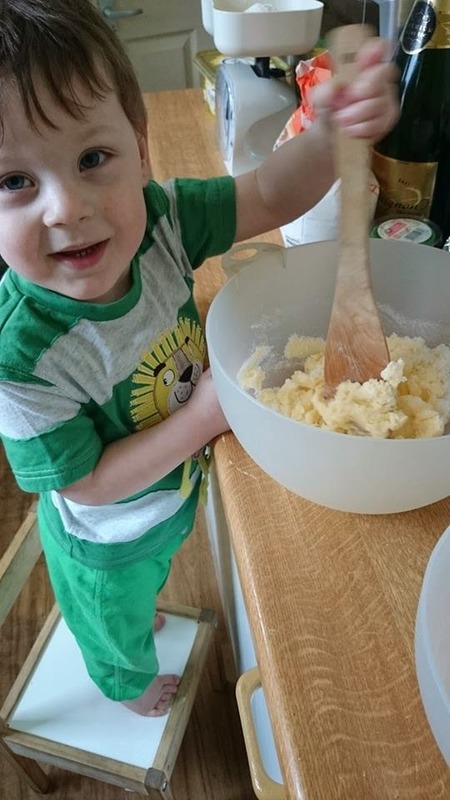 As usual I had my mini baker to help me out. To make the cheesecake part we mixed soft cheese sugar and an egg and more chocolate chips. I found this next part tricky as I had a pre-determined image of how they would look once cooked (Nothing ever looks as good if you do a pinterest idea). We got our cupcake cases, Jared chose green. We spooned some cake batter into the case then a spoonful of our cheesecake mixture on top followed by another spoonful of cake batter. I tried to make a well in the cake batter but this was tricky, I need more cake tools I reckon and then I could of achieved the well. Then we popped them in the oven until the cake was spongy. 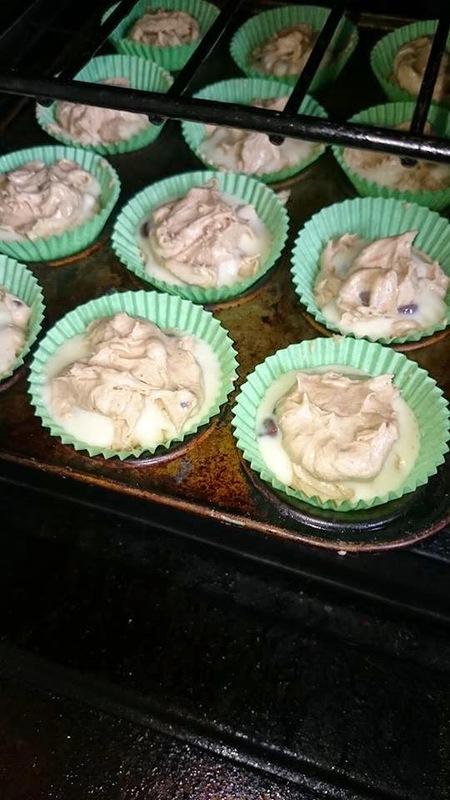 As you can see in the above picture the cheesecake mixture was running I'm not sure if it was meant to be as running but either way it looked awful but once cooked it solidified and tasted amazing. The light parts on the cake is the cheesecake mixture once cooked. 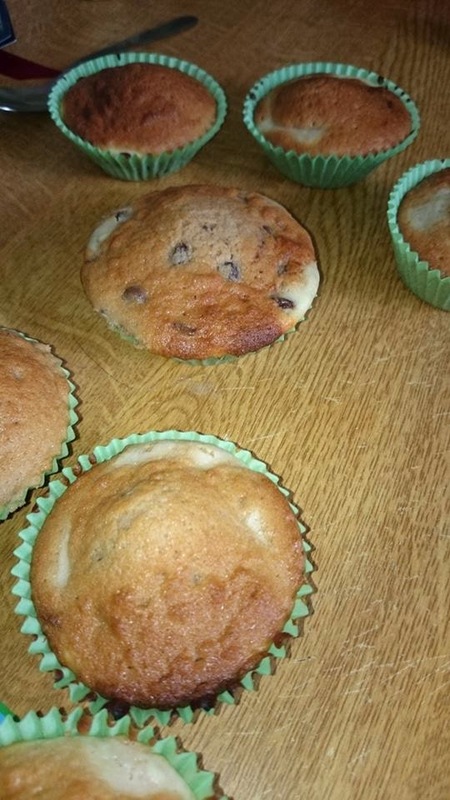 I cooked them on gas mark 5 for about 15-20 minuets until they had a spongy texture. Leave me a comment and a picture or link to your blog if you have made these I would love to see how yours turned out.